Noise Level 53 dBA at 23 ft. Hot Offer on RIDING LAWN MOWER PRODUCT.. Order NOW!!! 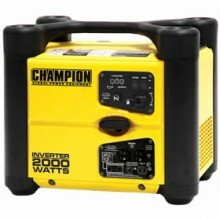 Click the button below to add the Champion 73536i - 1700 Watt Inverter Generator w/ Parallel Capability to your wish list.